Stacie Lents, Rachel Tibbetts and Christopher Limber talk about artistic approaches to rehabilitation for incarcerated women. On Friday’s St. Louis on the Air, host Don Marsh discussed the initiative, which is a partnership between Prison Performing Arts and the award-winning SATE Ensemble. The effort aims to move and entertain audiences and extend public awareness, particularly about the effects of incarceration and innovative, artistic approaches to rehabilitation. Joining Marsh for the conversation were playwright Stacie Lents, Christopher Limber, director of adult prison programs for Prison Performing Arts (PPA), and Rachel Tibbetts, director of youth programs and artistic director with the SATE Ensemble. Prison Performing Arts, founded 28 years ago, helps incarcerated individuals prepare for life after prison. The organization’s new initiative is specially commissioned plays, where nationally known playwrights go to one of the three prisons PPA is involved with, to develop a new play based on a workshop with the incarcerated participants. The production of ‘Run-On Sentence’ will continue through June 17 at The Chapel venue in St. Louis. Lents said the play helps share new perspectives on prison populations through the stories of the women experiencing the prison system. Tibbetts explained why it’s important to “give a vehicle” for marginalized people to express themselves and their stories. “The real draw of this particular work is the idea of community; it builds bridges for people that usually aren’t building community together, and I think that is a unique, powerful thing,” Tibbetts said. St. Louis on the Air brings you the stories of St. Louis and the people who live, work and create in our region. 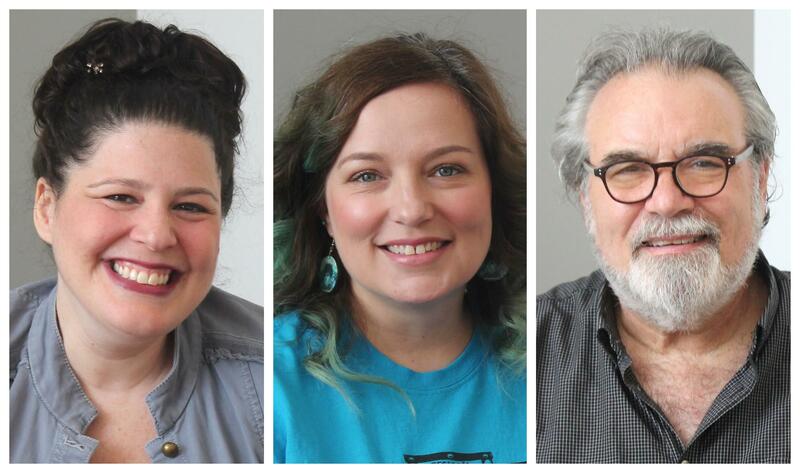 St. Louis on the Air host Don Marsh and producers Mary Edwards, Alex Heuer, Evie Hemphill, Lara Hamdan and Caitlin Lally give you the information you need to make informed decisions and stay in touch with our diverse and vibrant St. Louis region.